Her father stared at the table. He unfolded the plaid cloth napkin and placed it in his lap. Marilyn’s teenage son gently nudged his grandfather’s arm. “Green beans?” Still no response. Charles and Eleanor Morrison had spent 62 years of their lives together. Eleanor never left Charles’ side even after two strokes nearly took his life. She’d help him walk, literally helped him place food in his mouth when his face was numbed from the stroke. Eleanor was not only his lifelong soul mate, she was his caregiver – the joy of his life. So when Charles woke early that Saturday morning and Eleanor didn’t roll over to kiss his forehead, life as Charles knew it . . . ended. Studies on the elderly show Broken Heart Syndrome is not uncommon for the surviving spouse after the loss of their mate. Stress, loneliness, depression all play into the effects. Insurance companies who pay life insurance benefits followed the mortality rate of widowers/widows to discover a higher mortality rate in the second spouse within in six months of the passing of the first. 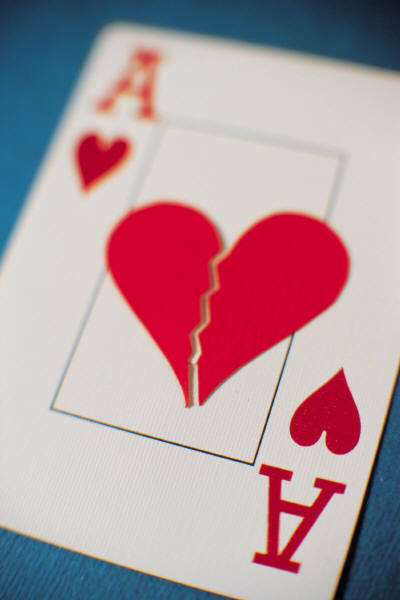 They also noted that women who suffer the loss of their husband are at higher risk than men to experience Broken Heart Syndrome, though men do also experience it as well and in a more devastating way. At best, the loss of an aging parent is difficult for children but the surviving spouse suffers far worse. It’s important for families to realize they cannot set a time frame for grief. Where their lives move ahead with the busyness of their immediate families, the lives of the aging parent becomes far more emptier. Children are grown, retirement has taken away the daily grind of work, and the glaring fact of their own immortality looms as a reality. *If the grieving process is remains severe after 60 days, contact the physician for a health exam. *Plug into a grief/loss support group or become involved in an active seniors group through local churches or the Department of Aging. *Encourage walking (exercise strengthens the body and allows the mind to process thoughts without interruption). *Do not force the issue, rather work with the physician and even grief counselor to help bring a parent into acceptance. *Encourage family members to renew relationships with the parent. Calls, cards, communication is vital. *Grieve WITH your parent. Sharing your own grief allows the parent to grieve as well. But be wise in how, what and when you share. It helps when a parent realizes they are not alone in vortex of void. *Don’t try to replace the loss but encourage new adventures. Plant the seeds of activity so they can sprout. *Be sensitive to the emptiness your parent feels and love them even when it’s hard. Families often think a “quick fix” is moving the surviving parent into the home of a child. It’s important to remember that, unless it’s medically necessary, sudden uprooting may not be in the best interest of your loved one. When a loved one has spent over half of their life with a spouse, it’s enough to suddenly be without them, but uprooting the surviving parent without allowing them adequate time to grieve may be equally as detrimental. Allow time for the family to come together and sort slowly through the memories that hang in the closet or are stacked in a cabinet. Physical possessions are something surviving parents can touch, feel, and identify with. Seeking to empty out personal belongings to quickly may be an effective coping mechanism for children, but not for the surviving parent. Be compassionate and understanding while walking your loved one through the loss. The loss of a spouse is a traumatic thing. Seek out patient and effective ways to help your parent grieve and move past so a new beginning appears hopeful and not debilitating. Time is the ultimate healer and for some that time is longer rather than shorter. Finding patience, offering hope, and praying together as a family, brings comfort. Nothing surpasses love. When families come together to support one another the process is bearable. For more information on Broken Heart Syndrome visit The American Heart Association and their article on Broken Heart Syndrome or ( www.heart.org ).